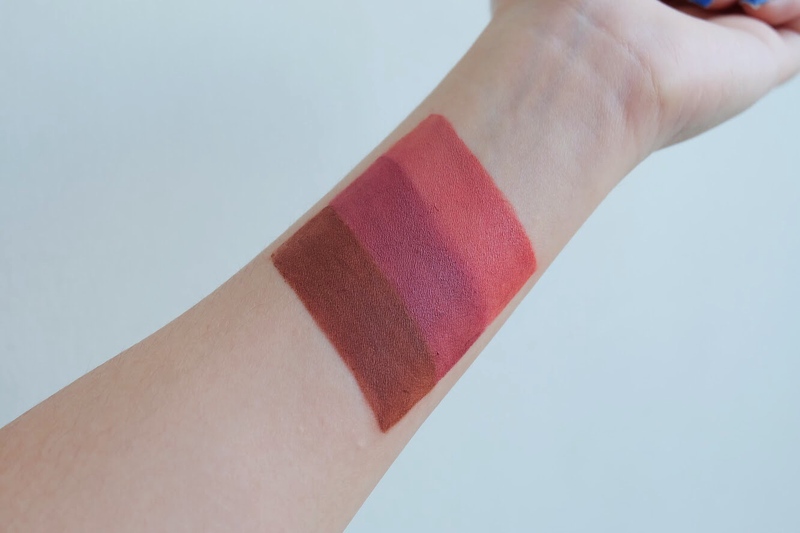 I've always been a fan of brands that show they care for their followers more than anything, and if you don't know by now, Colourette Cosmetics is one to mention. 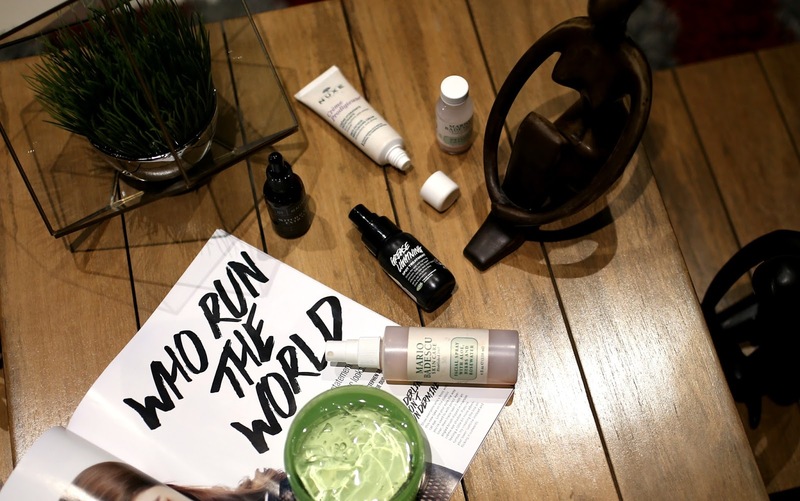 With their overwhelming number of followers on social media, they are the first brand in local history to curate a collection dedicated for their fans, in which they call "Boss Babes". Back in 2017, the brand formed a group on Facebook called "Colourette X Boss Babes" which serves as a platform to bring all kinds of women together, from all walks of life. What makes the community special is that the members don't just share the same love for the brand, but they uplift each other -- from helping one another on product suggestions and swatches, to even sharing personal life advices. Being an ambassador for Colourette, I'm glad to witness many relationships built in the online community. Their fans' undying support was the main drive and inspiration in crafting this collection. This is their way of giving back to all of their Boss Babes. 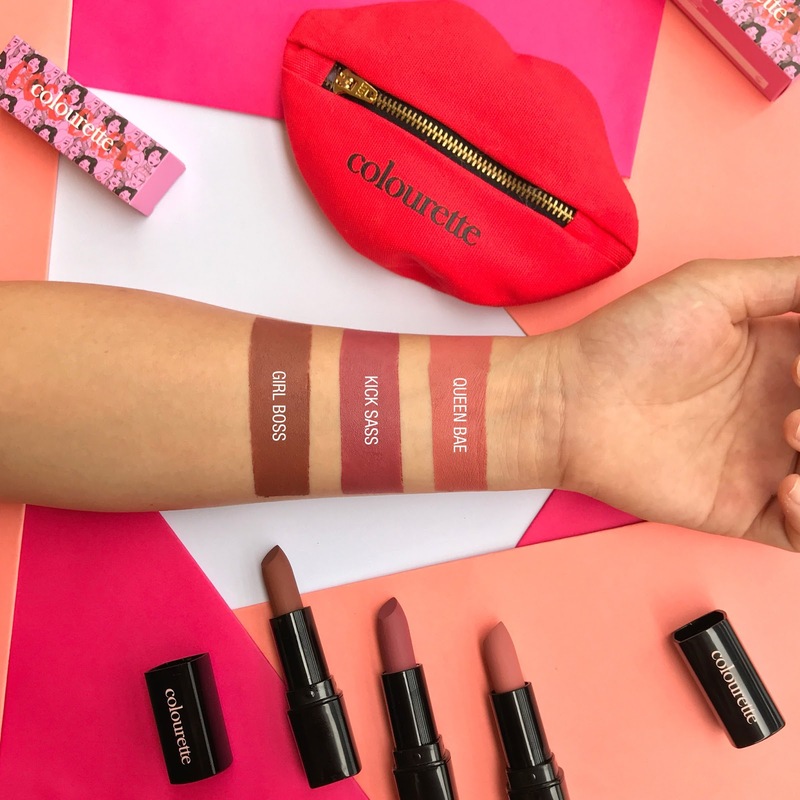 Colourette released three limited edition Velvet Matte shades that suit every Filipina skintone. 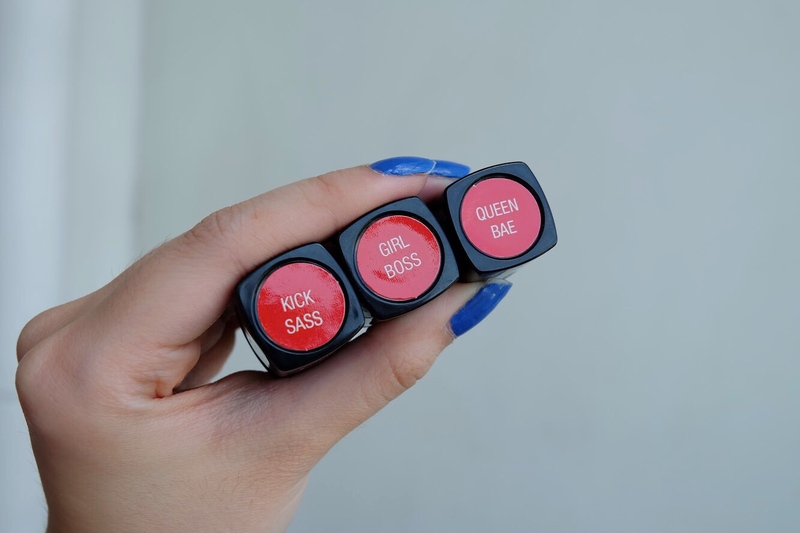 The shade names speak so much about their Boss Babes, daring every woman to be anything they ought to be. The package comes with a special note card signed by Colourette CEO, Ms. Nina Elaine Dizon. 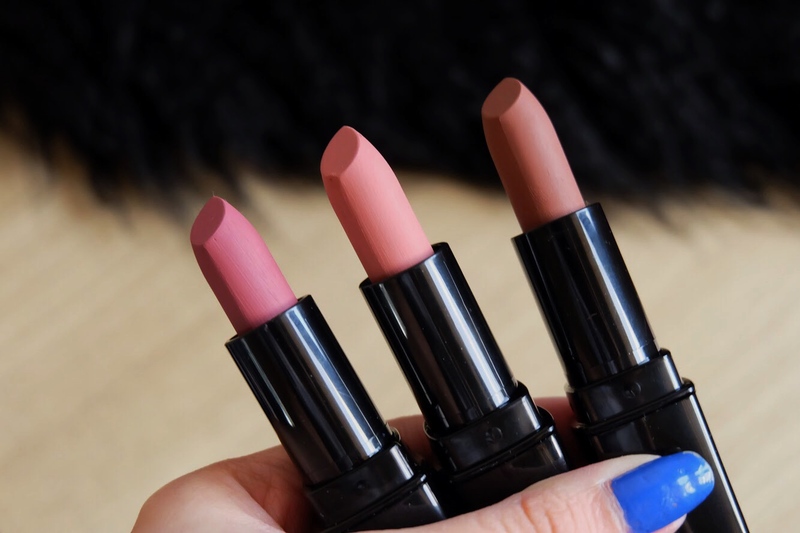 These are smooth velvety matte lipsticks formulated to give opaque and full-coverage color with just one swipe. It glides like a dream on the lips and smells delicious too (like watermelon!). If you think this is just Colourette's way of extending their love for their fans, then you're missing out! Get ready for more surprises ahead! What do you get when you are among of the 50 lucky Boss Babes to pre-order the collection? For only P1,497, you'll be able to enjoy these exciting goodies and passes! 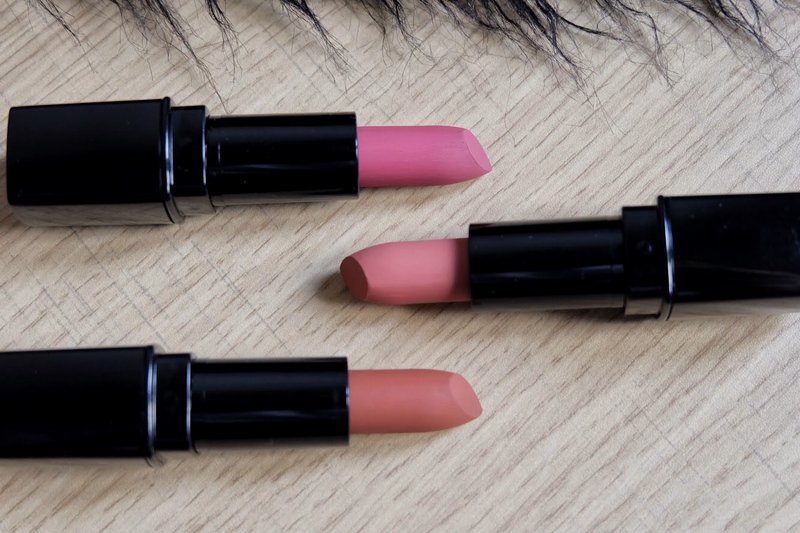 All three limited edition Velvet Matte lipsticks. Free limited edition Colourette Lippie Pouch. 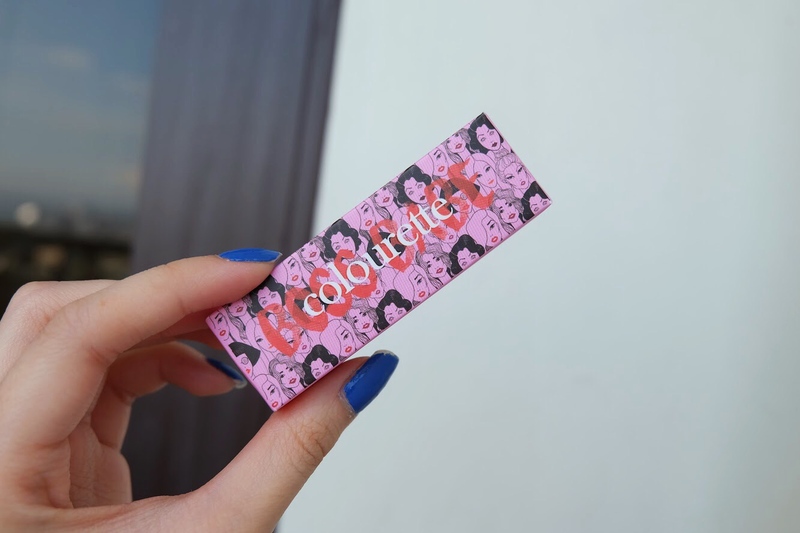 Free Colourette Cosmetics sticker sheets. Plus, a PASS to the exclusive Boss Babes brunch and Meet & Greet on Saturday, May 19! Besides the intimate brunch, there will be mini beauty workshops, bonding over makeup, and of course, unlimited selfies with us! Ain't it exciting? My fellow clique ambassadors and I are all so excited to meet all of you! Now tell me, which Velvet Matte best describes YOU? 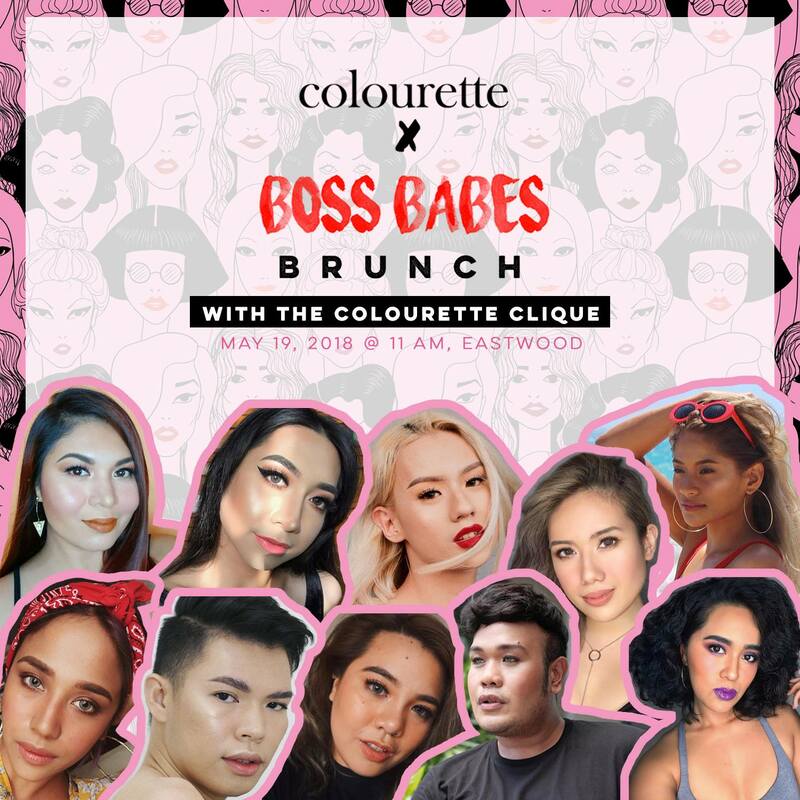 The Colourette Cosmetics X Boss Babes limited edition collection is launching on May 19, available on their website, Lazada or Shopee. See you at the exclusive launch of the #ColouretteXBossBabes! You probably clicked this post because you're interested in having your hair bleached. I know, bleaching always sounds like a horror story especially if you have dark hair and wish to dye it lighter. A year back, I've always wanted my hair bleached, but I was frightened it might harm my hair. Until finally, I had the guts to do it! Fast forward to today, I've been rocking bleached hair (probably will for as long as I want!) and I wanted to share with you how I've fully achieved my dream hair. I researched the best salons that expertise in balayage. Balayage is a way of coloring with a certain technique in which creates depth and body (instead of a flat hair color), resulting to a dimensional effect. 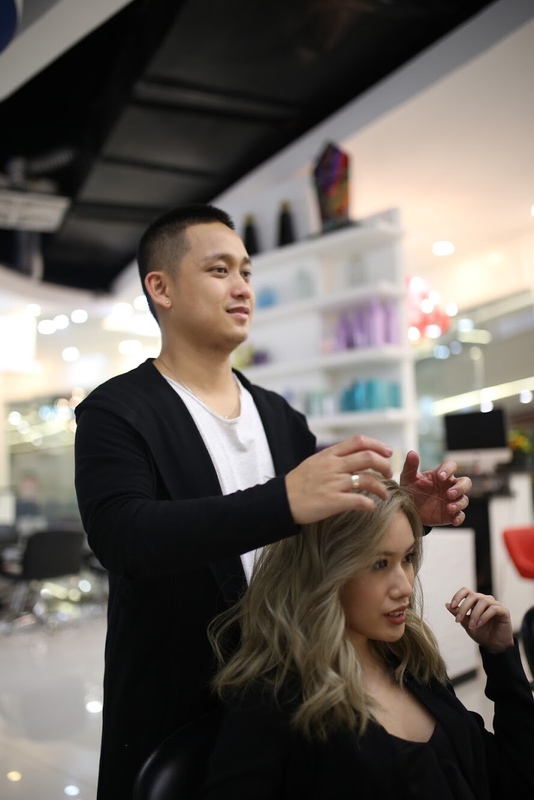 When I discovered Hairshaft Salon via Instagram, I instantly admired their work and thought, maybe they can achieve the hair I've always wanted. My good friend Jane Sibug (@janeskamargaux) recommended me to Miguelized, one of the pioneer signature stylists in Hairshaft Salon. (Thanks so much my love, Jane! :*). He did Jane's hair (and it turned out super stunning!) along with celebrities, bloggers/ influencers' hair -- so I had no doubts of giving him my 100% trust. When I first met Miguel back in 2017, he was already very accommodating and friendly, as if we were friends since forever! When he asked what hair color I wanted to achieve, I didn't want to clip his wings, so I just plainly said "blonde". I want his creativity and talent to shine through -- enough to do what he wants with my hair! 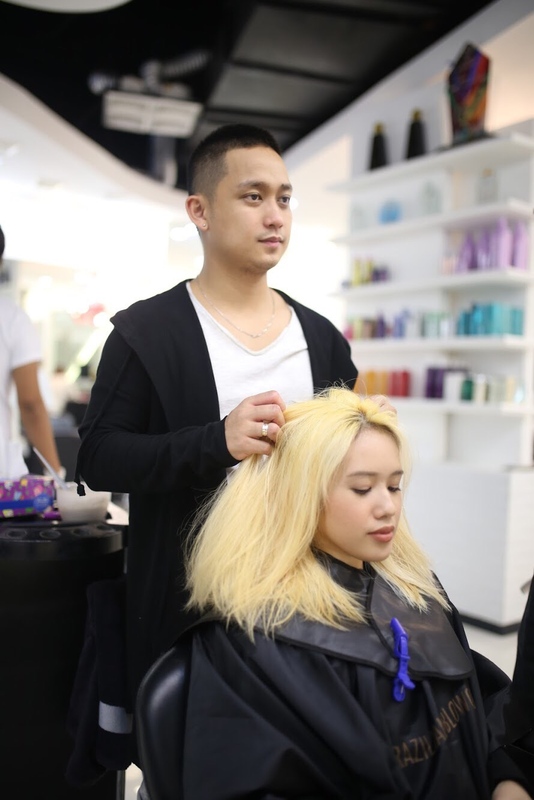 Note: The photos in this blog post wasn't the first time I had my hair done in Hairshaft. This was taken during another visit, so I already had a blonde base. The steps and procedures may vary depending on your current hair color, but rest assured this post will guide you if you are new to bleaching! Before starting with any treatment, Miguel will ensure to examine your hair type. In this case with bleaching, his team will check if your hair is strong enough. If your hair is brittle, it can cause serious hair fall and damage. This step is very important because this will be the basis if they will accommodate the service. It's overwhelming to choose the perfect hair color! If you cannot decide from their color swatches, you can just simply show a photo peg and they will know what you want right away! They're that good, even I am impressed! 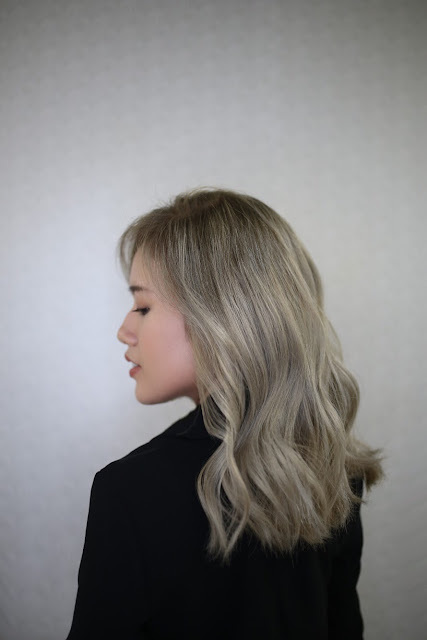 Miguel used Pastel Violet Blonde on my hair to achieve my ash blonde hair. The most critical part of having lighter hair is bleaching. 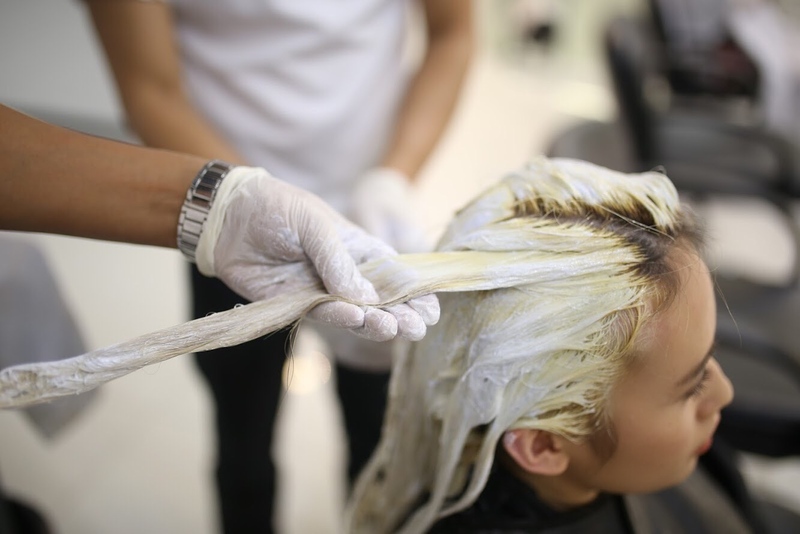 There are different types of bleaching agents used in salons. Here's what you need to know -- I learned that in Hairshaft Salon, they use lightening cream instead of pure bleach. I don't want to scare you, but when pure bleach makes direct contact on your scalp, it will leave you burn marks (and it's really painful!). They explained that they only use lightening cream which is a milder formula on the scalp. Each stroke of the lightening cream is done with a light hand. They're very meticulous in applying this because our scalp is sensitive. The lightening cream reacts with the melanin, removing the color in an irreversible chemical reaction, so the formula is strong. 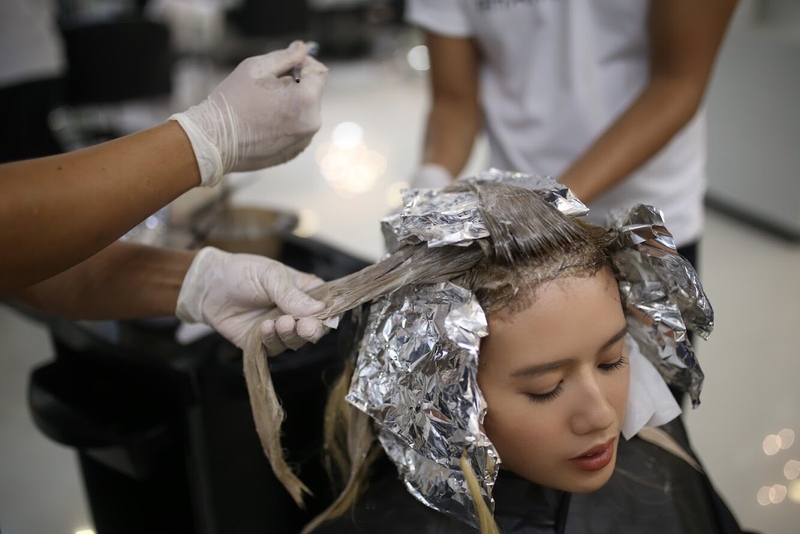 Since I already have a bleached base, they're concentrating on my roots FIRST in this process (because it reacts slower than the tips) and wrapping it in aluminium foil as it absorbs heat quickly. The process usually lasts up to 45 mins to 1 hour, depending on the undercoat you are trying to achieve. If your hair is jet black, this will probably take around 2-3 lightening cream application. They will measure the amount of peroxide to be applied. Once they already achieved the perfect undercoat, they bring down the peroxide from roots to tips to diffuse the reaction. Like what I said, the roots take time to react than the tips. As you can tell in this step, my hair is starting to turn yellow (#9 in the chart) -- which is what we are trying to achieve for the undercoat. 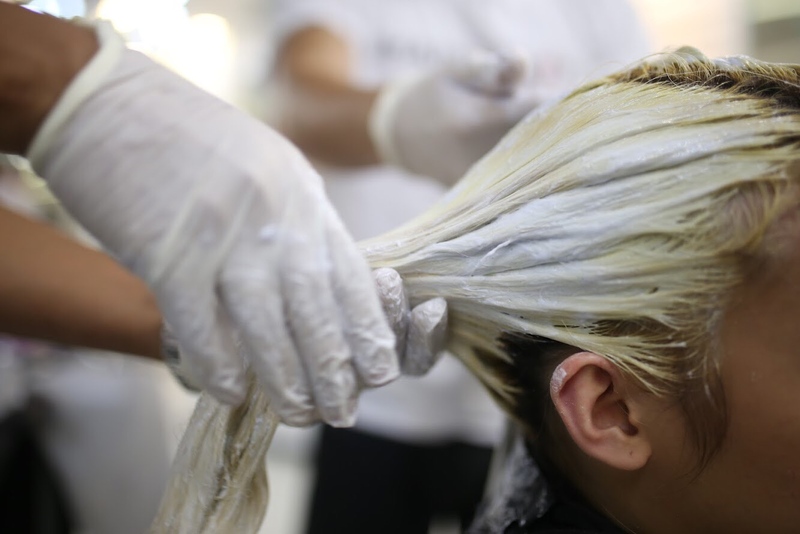 If you're new to bleaching and you see your hair turn to orange or yellow after the first wash -- DO NOT FRET! When I had my first ever bleach back in 2017, I gotta admit I looked hella crazy with my yellow-orange hair. HAHAHA! I thought it's the end of the world and cannot be fixed! 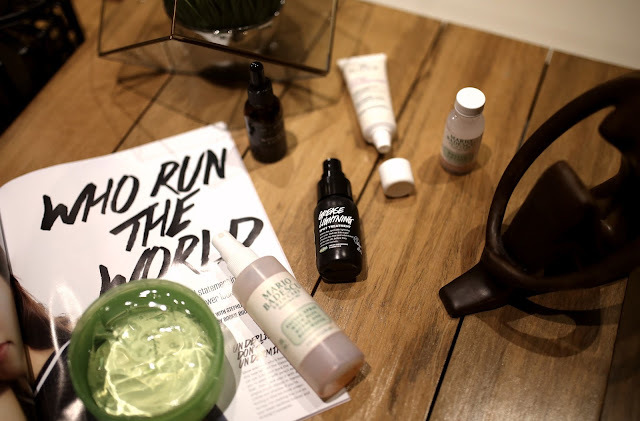 After the lightening cream, your hair will have the undercoat depending on the percentage of peroxide. In this case, the undercoat that was achieved is Yellow #9. This will serve as the base before the hair color. Miguel is applying Pastel Violet Blonde color on my hair + a special mix of ash blonde to create a multi-dimensional color. What's unique about Miguel's style is he adds a unique flavor to his creations. He calls this "baby light". If there's only one base color, it appears plain flat or lacking dimension. This additional step of hair coloring creates illusion of tones in the hair. 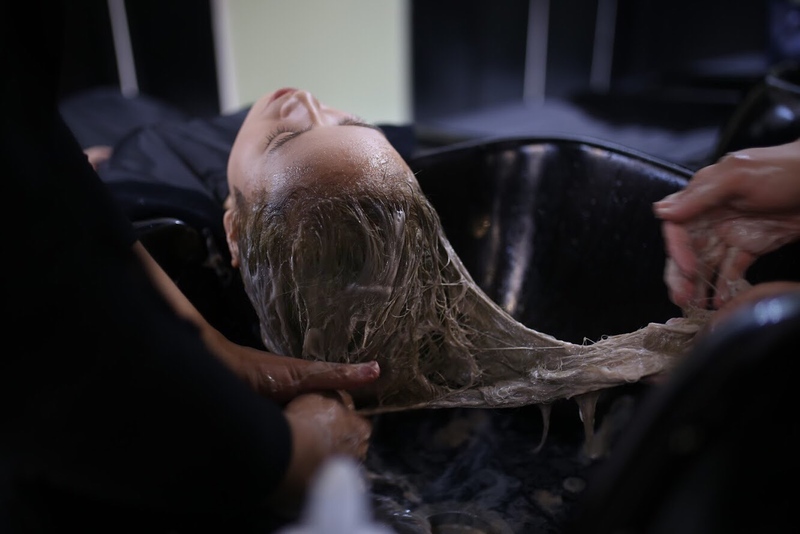 During the second wash, a special hair care treatment is part of the service to restore the moisture of the locks. This will bring out the vibrancy of the hair color. The result was better than I ever imagined. I never knew his own unique flavor of ash blonde can look this great! Miguel never fails to amaze me ALL THE TIME. His professionalism and expertise in his craft is just too good beyond words! Miguel loves hair styling too! I'm super loving these fresh curls! I'm definitely 100% satisfied with their service. The staff radiates positive energy -- they make you feel really special. The accommodation (not to mention they offer complimentary drinks), adds to the total customer experience. Lastly, they achieved the dream hair I've ever wanted! I highly recommend Hairshaft Miguel, not just because he is my stylist, but I really admire his passion in his work. He is very promising, and he NEVER disappoints. I've been working with him ever since, and he takes care of me all the time. 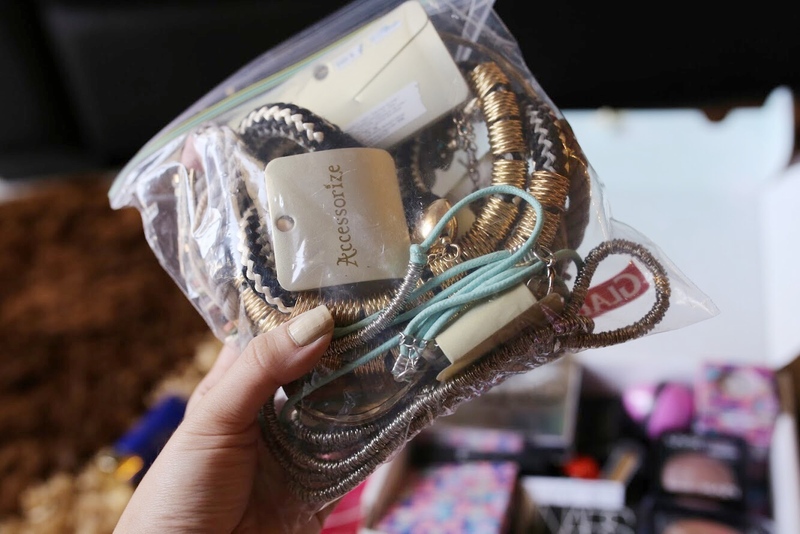 It's hard to trust other stylists that doesn't know what you really want. With Miguel, I'll just sit down and let him do magic with my hair. That's how much confidence I have in him. No doubt that he's one of the best hairstylists in the industry. The dream team behind my gorgeous hair! (L-R) Hairshaft Ian, Miguelized, Me and Hairshaft Mark. If you want to try Hairshaft, you may book an appointment with Miguelized at 09173096554. Visit them at 3F The Podium Mall, ADB Avenue Ortigas Center, Mandaluyong City. Use my code "PAIGEXHAIRSHAFT" for a special discount when you book an appointment with Miguelized! *Disclaimer: This blog post is sponsored, but all of my opinions, words and recommendations are 100% genuine and my own words. 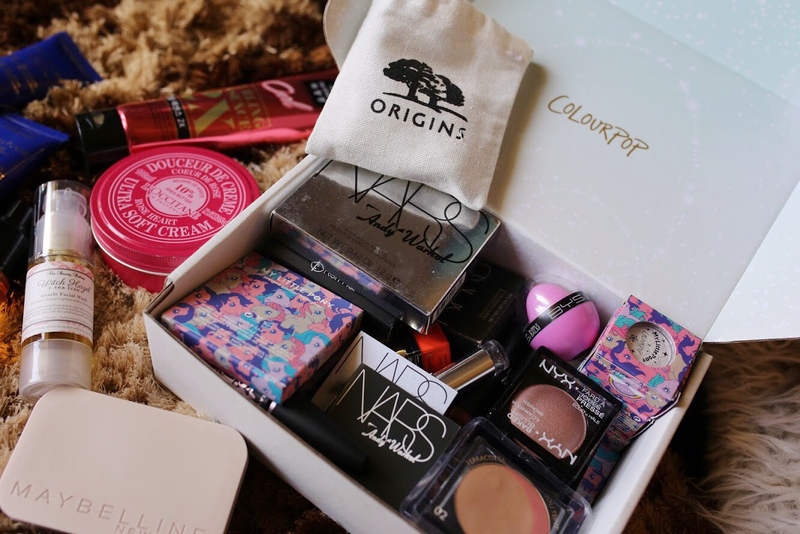 GIVEAWAY: 15K WORTH OF BEAUTY LOOT! 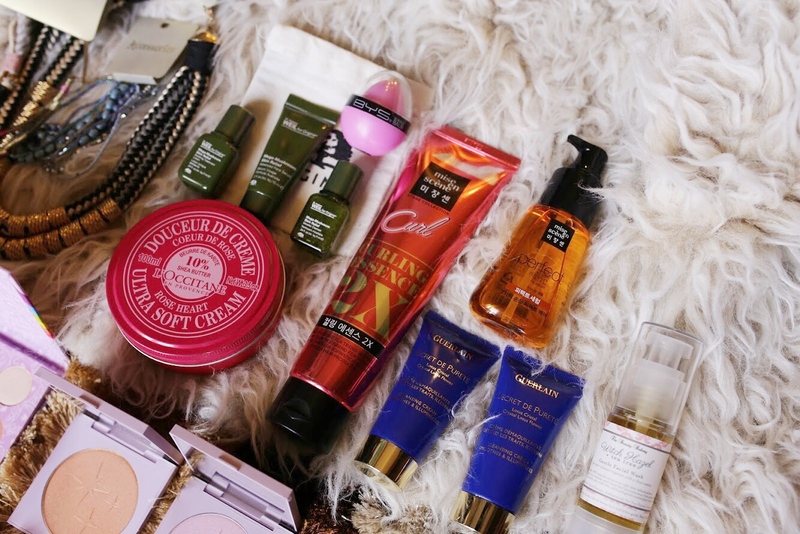 I'm so stoked to share with you my BIGGEST beauty giveaway yet! I would like to thank each of you for your support since day 1! 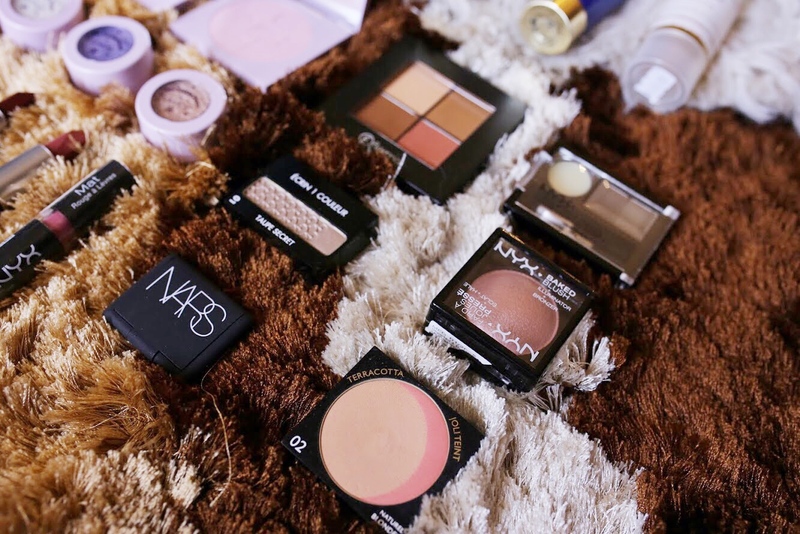 I've collaborated with my fellow blogger friends (@themachomom, @glowdiana, @eriannesalazar and @angelcarino) to come up with this huge beauty loot! 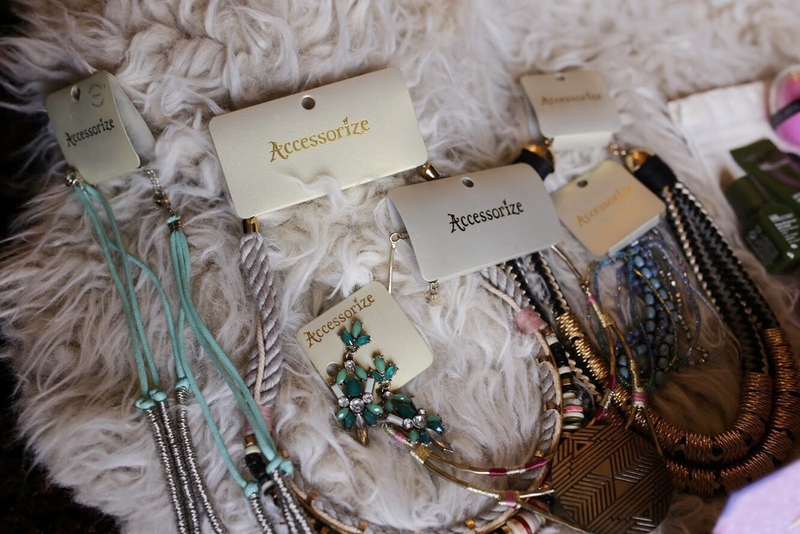 Aside from makeup, skincare and haircare, we also added some fashion items such as accessories (necklace, earrings, etc.) perfect for beach trips this summer! 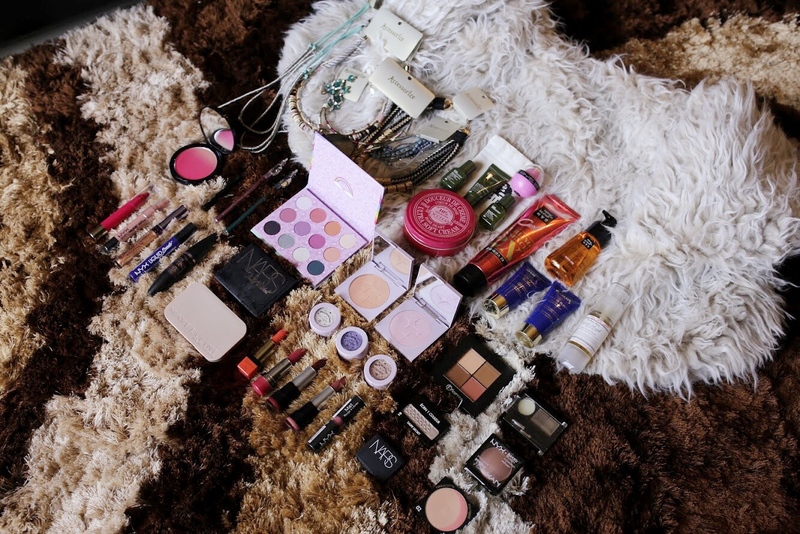 One lucky follower will take home all of these goodies! Ain't it exciting? 1. Look for this post on my Instagram feed and hit LIKE. 2. Must be following me (@paigeranola) to qualify. 3. Follow my girls @themachomom, @glowdiana, @eriannesalazar and @angelcarino. 4. Tag three (3) friends in the comment section. Fake and shopping accounts are not counted. Comment with 3 tagged friends is equivalent to 1 entry. You may comment as many times as you want as long as you don't repeat tags. 5. Once you've completed all steps, comment DONE on my post! 6. Repeat steps 1-5 on all accounts. *Bonus points if you engage on all of our posts! We will ship all of these items to one lucky winner! 2017 went by too quickly -- I can't believe that I'm about to run down my top favorites from the skincare category! I've had requests on my social media to write about this, and it really took me a while to come up with this list. 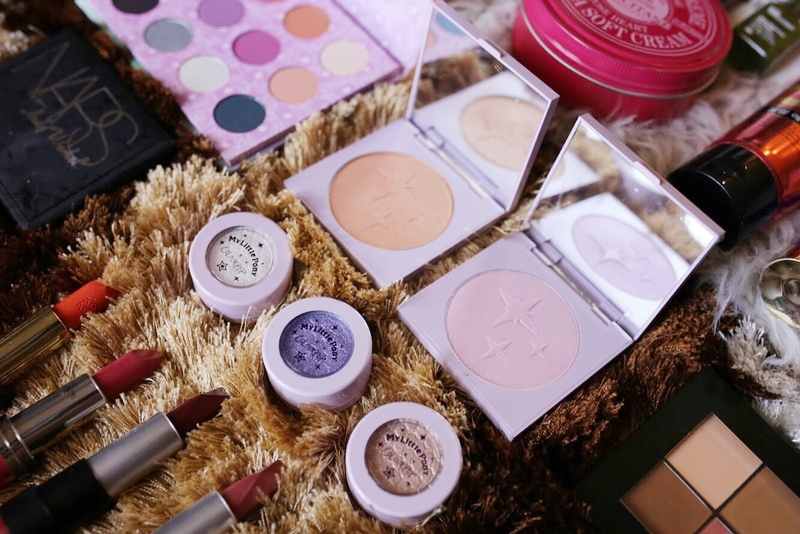 Believe me when I say I've tried different products to match my very sensitive skin. I'm the type of who breaks out with whatever chemical that sinks in my face -- it's a bummer. This selection is carefully picked out and worked for my skin -- they're either my classic favorites or exciting discoveries of the year! Meet the bottled superstars that helped save my skin. Never would've thought that this beauty bargain would be my holy grail makeup remover! This is the only oil-based makeup remover that I often each for. Since it's is oil-based, I use this only on my eye and lip area. I love how it doesn't give that tingling sensation just like other heavy makeup removers -- it feels like water but has the power to remove waterproof eyeliner and mascara in a swift. If you haven't tried this yet, I highly recommend this product -- plus it's only P99 so it won't break the bank! 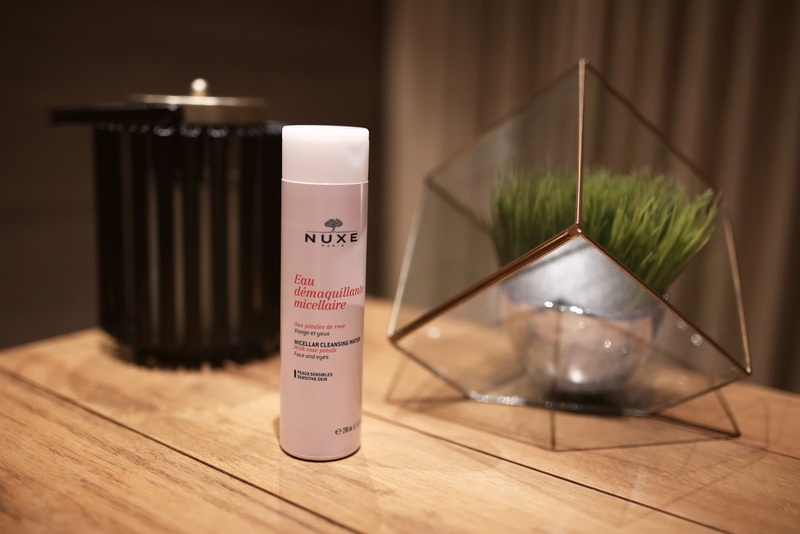 I don't reach out for this often versus my Miniso Makeup Remover, but when I do, I find that Nuxe Micellar Cleansing Water is the most gentle makeup remover to slather all over my face. It's not heavy on the skin, and has a relaxing, soothing rose scent. Downside is it doesn't remove my eye makeup completely, but does the job in "pre-cleansing" the face. It's alcohol-free, so it doesn't irritate my sensitive skin. I don't experiment that much on cleansers and I like using gentle cleansers so it doesn't strip out the natural moisture of my skin. 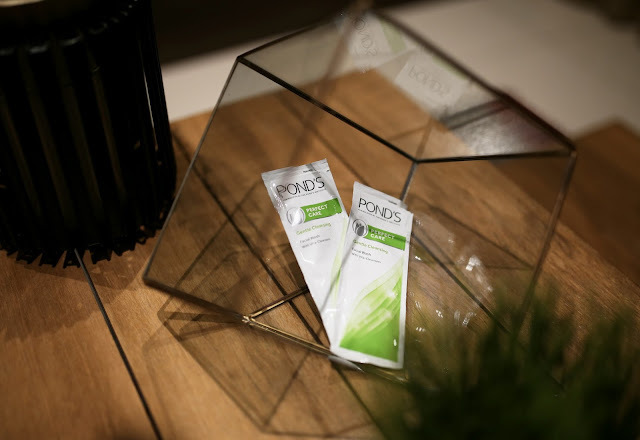 Pond's is a no-brainer pick for me when it comes to facial wash -- my sensitive skin loves it! It's inexpensive and does the job in giving me that squeaky clean feeling after every wash. My skin always feels fresh and moisturized! I've been using this specific variant since high school, sadly I can't find it in large tubes anymore so I get these sachets. Where can I find one? One of my best discoveries last year from the local brand, Beauty Bakery. I've been using this as a toner for 3 months now and I've noticed a huge difference with my skin's elasticity! My skin is way tighter and clearer ever since I've infused Witch Hazel in my skincare routine. 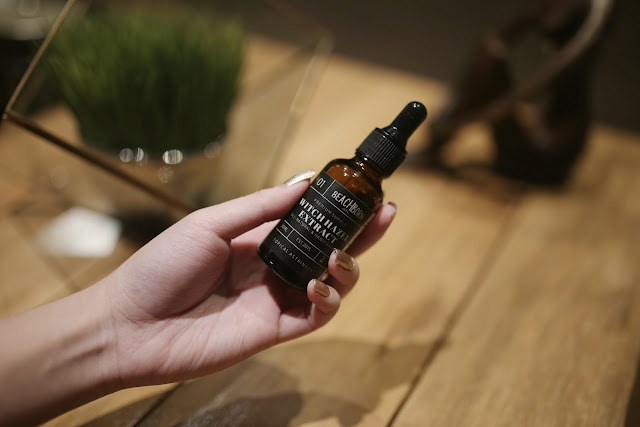 I often get little bumps on my cheeks and forehead whenever I lack sleep or I change my diet -- this mist does the job in healing the surface of my skin. 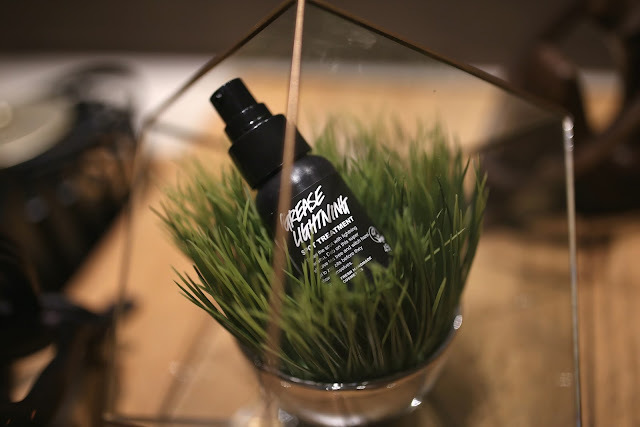 It's magic in a bottle -- plus it smells like a dream! I'll definitely keep on repurchasing this. 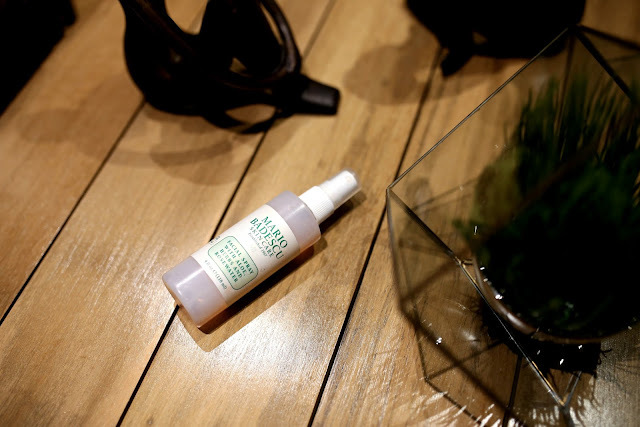 Mario Badescu has always been the skincare authority for acne prone skin. Whenever I get breakouts, I reach for this anti-acne serum and use it all over my face. I find that this serum is powerful enough to prevent acne before they form on my face. 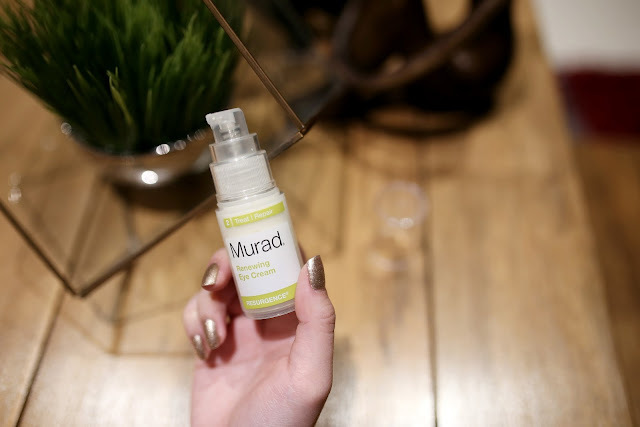 It's a gel-based serum infused with Salicylic Acid, known to keep acne pimples at bay! Instant contour in a bottle -- it's no joke. This may cost a lot for a serum but it's probably my best skincare investment ever. 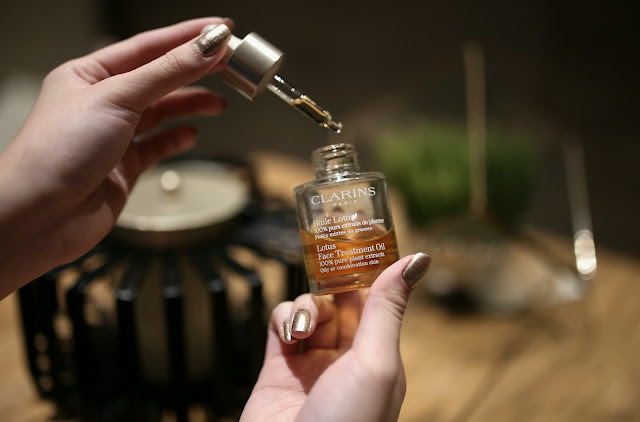 I concentrate this Clarins serum specifically on my jawline with a V-motion, and my face instantly de-puffs and sculpts in seconds -- it's crazy! I like to use this during the morning when my face is still puffy. This Esfolio 100% Aloe Vera Gel is my skin food whenever my face feels dehydrated and needs extra moisture. Ever since I started using this, I've noticed that my face became softer and supple like baby's skin thanks to its aloe vera extracts. It has a cooling sensation and doesn't leave that gel-sticky feeling! Another thing why I love this is that it helps soothe sensitive skin (and can be used as hair moisturizer, too!). 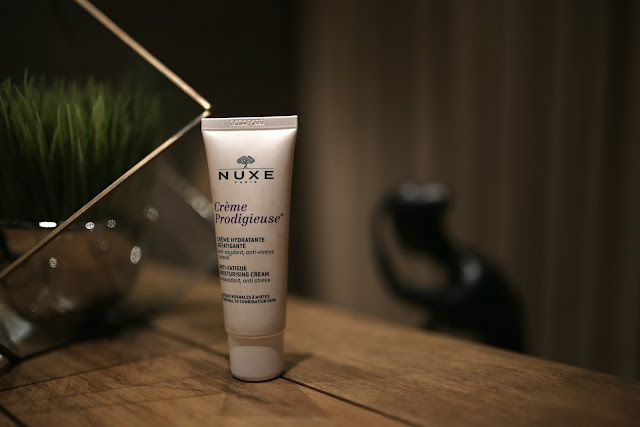 I usually use this under my makeup during the day for an extra glow and radiance, then use it at night as my sleeping mask and I wake up with refreshed skin! This Nuxe Crème Prodigiuese is the perfect go-to day moisturizer for tired skin! Whenever I massage this on my skin, I feel like I have a good extra 3-4 hours of sleep! 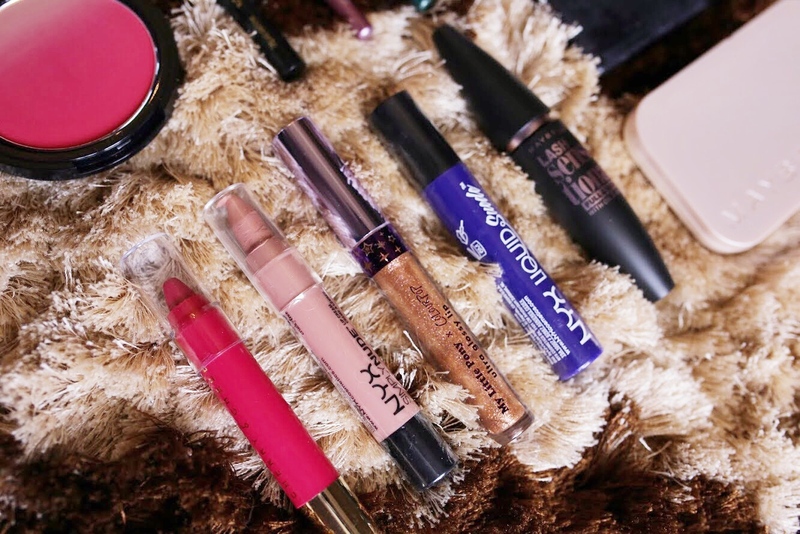 It revives my dull skin and leaves a protective matte layer under my makeup. Tired skin no more! This is probably the best anti-acne spot treatment I've ever tried. I've heard so many celebrities using this and it's true to its claims that it gets rid of pesky pimples! I get a few pimples on my cheek area every now and then because of my lack of sleep, and whenever they pop up, I reach out for this instantly. What I love about this is that it's fast-acting and dries pimples overnight! Another skincare discovery that turned to an instant fave! This is from the local brand, Beachborn. I've always been curious on the effects of Witch Hazel as it claims to minimize the look of pores and soothes acne, so I picked up a bottle of this Witch Hazel Extract to try it. Never would've thought that my skin would love it at first use! Been using this everyday and it really does the job in healing and calming the skin, I don't see myself skipping this in my routine, it has become my holy grail. This Lush spot treatment is best used to combat angry pimples. I love using this when I'm about to get my period (cause my skin acts up crazy during red days!). It has tea tree and witch hazel combined -- which are great ingredients to fight irritated skin. I use this overnight and I find that it quickens the healing process of cuts/ inflamed areas the next day. This is a skincare step which I wish I'm most religious about! I remember my mom keeps reminding me to use eye cream to prevent saggy under eye skin. I find that this Murad Renewing Eye Cream is a good treatment for early prevention of the appearance of dark circles. I use this at least 4x a week, and so far I've noticed that it brightens, firms and hydrates the surface of my under eye area. I just wish it has a cooling effect to de-puff, but I'm satisfied with it's effects of "renewing" the eye area. Another skincare investment that's worth every penny! I use this Clarins oil to add extra moisture whenever I feel like my skin is dry and dull -- it instantly brightens and adds glow to my skin! I love the radiance it gives my face whenever I use this under my makeup. I like to add 2-3 drops of this to my beauty blender and I find that it sheers out my foundation better. This is the best wash-off mask for troubled skin! I use this Innisfree mask to detox my tired dull skin. It has a creamy texture when applied and dries like powder afterwards. This small pack is good for 3-4 uses and it only costs less than P100! I love using this after sleepless nights -- I wake up with less breakouts and brightened skin. There was this one time I was so frustrated with my skin cause I've been breaking out a lot. I've tried so many skincare routine to revive my skin, but little did I know this little gem is the only key to save my breakouts. 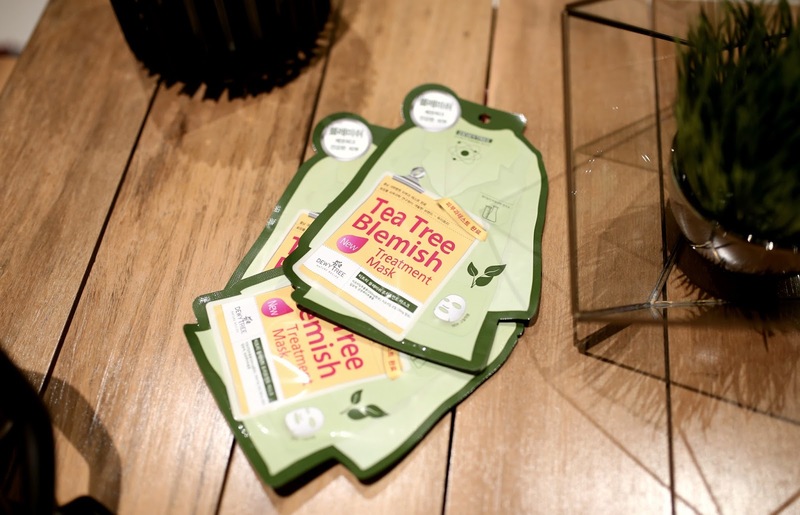 This DewyTree Blemish Tea Tree Mask was introduced by my BFF Kath -- and ever since I've tried it, I couldn't get enough of it! When I woke up next morning, I looked in the mirror and I was like, "WHAT???" there were no traces of breakouts! They banished like nothing happened! My skin looked healthier and glowing -- probably my most favorite sheet masks to date. I don't know why face scrubs tend to break me out whenever I use them. I get little bumps here and there, and I feel like my skin is disturbed right after! 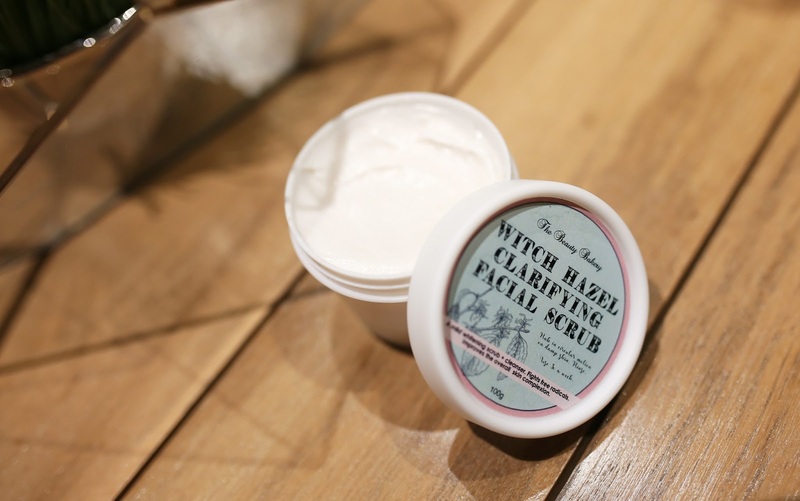 I've tried a lot of face scrubs but I find that Beauty Bakery's Witch Hazel scrub is the one that works best for my sensitive skin. 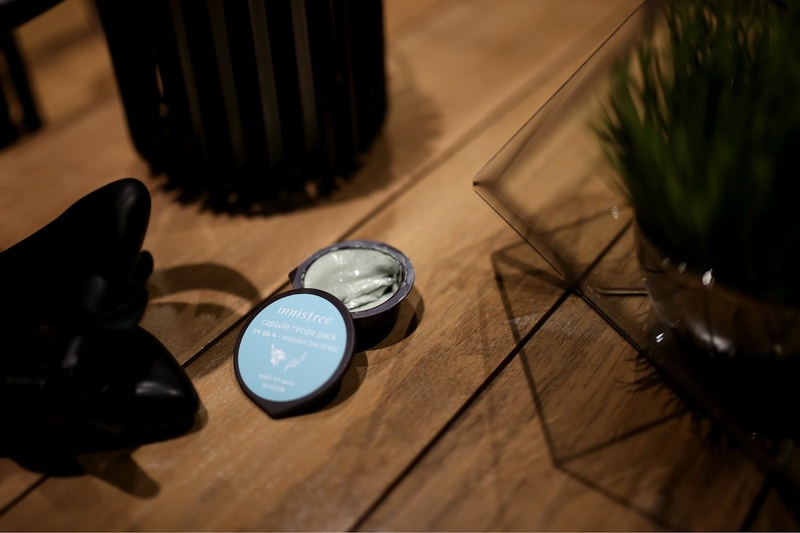 It has a cream-texture and with no visible beads, but powerfully scrubs off dead skin like a dream! I like that it's mild enough to remove deep-seated dirt and has anti-bacterial properties to help calm my skin, I'm obsessed. 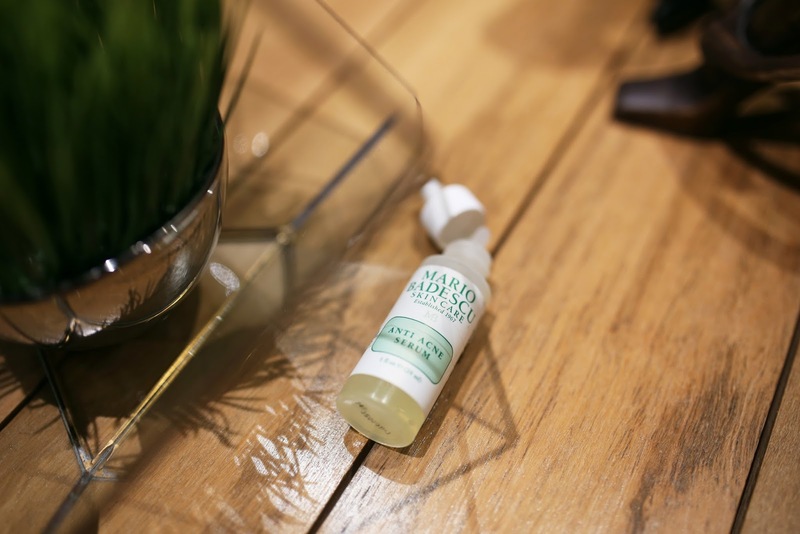 My cult-favorite face spray from Mario Badescu! It's a hydrating booster to help revive dehydrated skin anytime, anywhere! I've gone through bottles of this and I can't get enough of it. I love how this refreshes my skin and leaves it dewy for a long period of time. I also use this to set my makeup and adds extra healthy radiant glow! Tip: this can also work as a face toner! So these round up my favorite skincare of 2017! Should I do a skincare routine blog post next? Let me know! 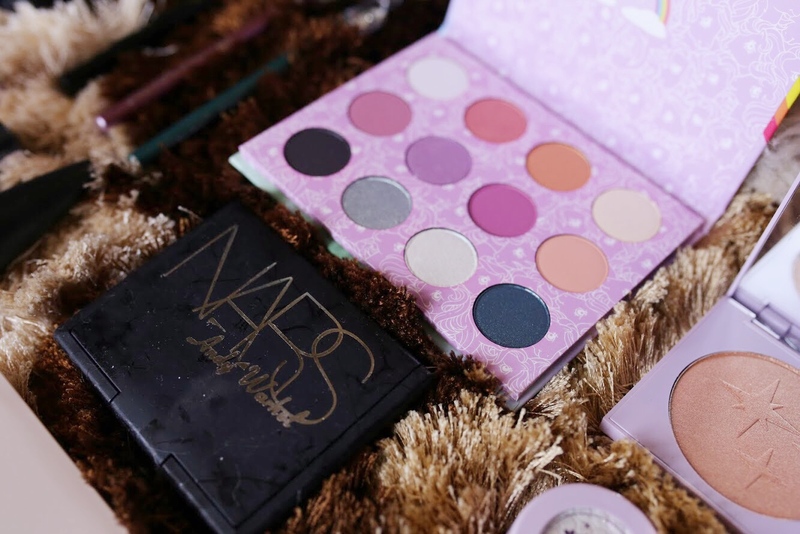 Outfits for Face is an online diary created for beauty geeks, written by Paige Ranola. Get to know her passion for all things beauty related, spiced with her taste for fashion and everything in between.